On the evening of November 5, 2011, in the Vatican Basilica, Pope Benedict presided at Vespers for the opening of the academic year in pontifical universities. His homily focused on priestly ministry, in the light of the current seventieth anniversary of the founding of the Pontifical Work for Priestly Vocations by Venerable Pius XII. The reading from the First Letter of Peter "invites us to meditate upon the mission of pastors in the Christian community", the Pope said. "Ever since the beginning of the Church, it was clear that the guides of those early communities were given particular importance, instituted by the Apostles to announce the Word of God through preaching and celebrating Christ's sacrifice. ... Peter also emphasizes reciprocal solidarity among pastors, highlighting his own and their membership of the single apostolic order. ... Tending Christ's flock is the vocation and task they share; it binds them to one another because they are united by a special bond to Christ. ... The apostolic vocation lives thanks to the personal relationship with Christ, it is nourished by assiduous prayer and animated by the passionate desire to communicate the message received from the same experience of faith as the Apostles". "And an attitude of service." "God the Father sent the eternal Son into the world to accomplish His plan of salvation", the Holy Father explained. "Christ Jesus founded the Church so that the beneficial effects of redemption would be extended over time. The vocation of priests has its roots in this action of the Father, which was accomplished by Christ through the Holy Spirit. The minister of the Gospel, then, is a person who allows himself to be seized by Christ, who knows how 'to abide' in Him, who enters into harmony and intimate friendship with Him, so that everything occurs 'as God would have it', according to His will of love, with great inner freedom and profound joy of heart". Turning then to reflect on the gratuitousness of pastoral commitment, Benedict XVI noted that "we must never forget that we enter the priesthood through the Sacrament of Ordination. This means opening ourselves to the action of God by daily choosing to give ourselves for Him and for our fellow man. ... The Lord's call to the ministry is not the fruit of any particular merit, it is a gift we must accept and to which we must respond by generously and disinterestedly dedicating ourselves, not to our own project but to that of God, that He may dispose of us according to His will, even though this may not correspond to our own desire for self-fulfillment. ... As priests, we must never forget that the only legitimate ascension towards the ministry of pastor is not that of success but that of the Cross. "From this point of view, to be a priest means to serve, also by leading an exemplary life", the Pope added. "Priests dispense the means of salvation, the Sacraments, especially those of the Eucharist and Penance. They cannot dispose of them as they please, but humbly dispense them for the good of the People of God. Their lives are profoundly marked by this service - from tending the flock to faithfully celebrating the liturgy - and by readiness to serve all their brothers and sisters, especially the poorest and those most in need. 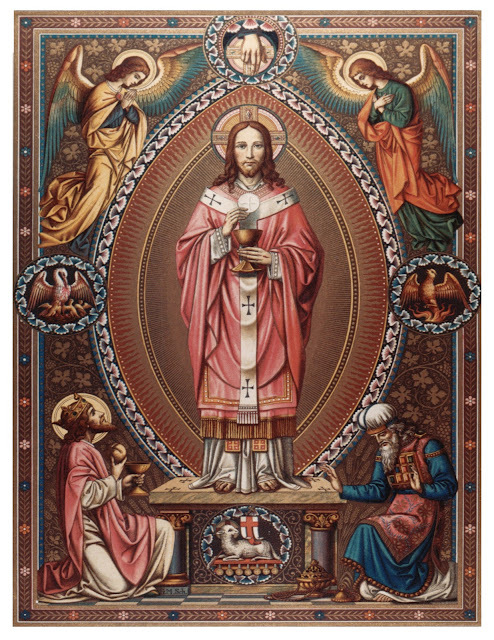 By implementing this 'pastoral charity', on the model of Christ and with Christ, wherever the Lord may call, each priest fulfills both himself and his vocation."